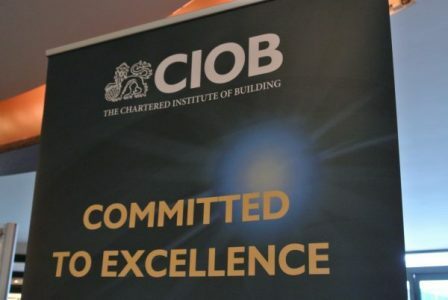 CIOB is the world's largest and most influential professional body for construction management and leadership, and membership is recognised around the globe. It is at the heart of developing a management career in construction. Completing the Chartered Membership Programme is your springboard to becoming MCIOB. Successfully completing the course will give you the confidence to take the final step to becoming Chartered, by applying for the professional review. It is suitable for a wide range of technical and specialist professionals working in the construction industry, and for candidates who have completed the CIOB Site Management Programmes. Specifically, the course will develop your skills in planning and scheduling construction projects, as well as your ability to deal with the legal framework around health and safety, understand the factors which affect the costs of a construction project, and how work is procured. You will also develop the required understanding of concepts in ground engineering techniques and substructure technology. Following the 4 modules, you will also be given guidance on the professional review, the final stage to chartered membership. All together you will gain both the required technical skills and a complete understanding of the membership process so that you can approach your application with confidence. The next available date for this course is 29th May 2019. For those interested in taking the course but do not want to sit the exam, the cost of the course can be reduced to £1,150 + VAT. Please contact academy@ciob.org.uk to take this up offer. Technical qualifications such as HNC or HND. A wide range of other technical and specialist professionals working in the construction industry can also be considered. Please contact our membership team on + 44 (0) 1344 630 706 if you are unsure of your suitability. The Programme is made up of 4 modules designed to give you the specialist knowledge and skills required to manage construction projects effectively along side professional review advice and preparation. The modules are below and a complete course guide can be found here. Live webinars in the middle and at the end of each module. The Academy course fee is £1,500 + VAT which includes the exam fee. You will need to also become a student member with CIOB which involves a £52 registration fee and £37 student membership fee. For those interested in taking the course, but do not want to take the exam at the end, the cost of the course can be reduced to £1,150 + VAT. Please contact academy@ciob.org.uk to take this offer. When you apply to undertake professional review, you will pay a separate fee to CIOB. All teachers are MCIOB/FCIOB and have extensive, relevant technical experience and competence. Senior Lecturer in Quantity Surveying. RICS Assessment of Professional Competence Assessor and Mentor. New Zealand Polytechnic course developer. Adrian takes a supportive encouraging approach with regards to training and development. Dr. Hammond started his career as a plumber before moving on to train as a quantity surveyor, working with a number of large consultancies including Turner and Townsend. In the early 1990s, he moved into education, working initially at Wigan and Leigh College before moving to Dudley College, where he became head of construction. In 2005, he moved to SummitSkills Ltd the Sector Skills Council for the Building Services Engineering Sector as Head of Research. Dr. Hammond has published a book on Skills Policy in the UK and a number of academic papers. In addition, he has also published numerous reports for Government Departments, Devolved Government, and numerous agencies around the UK Currently Mike is Director of his own Research and Education Company, offering bespoke research and educational services to public and private sector clients. Mike is also currently an examiner for the CIOB on the Chartered Management Programme. Assessment is made via an Open Book Exam which is carried out at the end of the programme. The exam is issued to all candidates on a day in June or November via our online academy. You will be provided with a construction project scenario and drawings and will answer 4 questions relating to the 4 modules. You will be given 10 days to submit your answer to the questions through the virtual learning environment, Moodle. This allows you to use the resources of your choice to complete your exam. Successful completion of the assessment gives a Certificate of Attainment for your CPD record, and provides the academic recognition needed to undertake your professional review and apply for MCIOB. Upon completing the Chartered Membership programme, you can progress to your Professional Review application. This is an assessment of your occupational and management competence and the final stage of gaining your Chartered membership. At that time, your tutors will provide a live session on the professional review process, how to prepare and common pitfalls to avoid in your application.